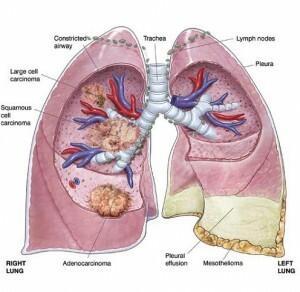 Lung cancer is the most predominant form of cancer around the world, causing almost a fifth of cancer related deaths. That translates to 1.6 million people a year. In the United States alone, it is the leading cause of cancer death by far, for both men and women, causing greater mortality raters than breast, prostate and colon cancer put together. Malignant mesothelioma, a specific type of cancer that affects the lungs, isn’t quite the global killer that lung cancer as a whole is, but it still accounts .02 percent of all cancer cases, and comprises more than 3,000 cases a year. This cancer is heavily associated with exposure to asbestos, and is particularly common in military and industrial workers who have had high levels of exposure to it. Even though its diagnosis rate is relatively small compared to some other types of cancer, the prognosis is typically quite grim, meaning it’s important to both understand what causes this cancer and take the right steps to treat it as quickly as possible. Unfortunately, people who are diagnosed with mesothelioma generally don’t live longer than 5 years after having their disease recognized. However, that doesn’t mean that there’s nothing that can be done. Aside from mainstream medicine approaches such as radiation and chemotherapy, there are several other, more natural, remedies that have been commonly reported to be effective. Consider this your ultimate guide to the natural remedies available for mesothelioma cancer. We will discuss how important it is to follow your doctor’s orders, while augmenting your treatment routine with alternative strategies that can both improve your survival time and ease your symptoms. There is currently no cure to mesothelioma, but there’s no reason you shouldn’t do everything in your power to live as long and as comfortably as possible. Let’s talk about some of the best ways you can do that. First, let’s discuss what exactly causes this disease, so that you can better understand why some of these remedies work they way they do. Mesothelioma is sometimes mistakenly believed to be “just another type of lung cancer,” but that is not actually the case. While mesothelioma, sometimes called asbestos cancer, mostly affects the lungs, it can also cause trouble with the lining of the stomach, heart and other organs in the abdomen. As stated above, mesothelioma most frequently results from inhaling sharp, brittle, microscopic asbestos fibers. This natural mineral grows in long, thin strands, resistant to heat and electricity, which makes them perfect for insulation and a range of other uses. However, because the mineral is “friable,” meaning it is apt to break off and become airborne when handled, people who have had repeated, high levels of exposure to it are likely to have large quantities of these small fibers embedded in their lungs. Because the fibers are so tiny and sharp, they often migrate through lung endings and into the lining of the lungs, called the pleura. Significant irritation of the lung linings can cause buildup of liquids, trouble breathing, sharp pains, dizziness and more. The linings of the heart and the abdomen itself are also often affected, as is the lining of the stomach. Because different organs are usually held in protective sacs – for instance, the heart is in the pericardium sac, while the lungs are in the pleural sac – and this lining is very delicate, it is sensitive to the small fibers inhaled when you are exposed to asbestos. Thus, scarring and abrasion of this lining – called mesothelium, from which the cancer draws its name – may lead to cancer of the stomach sac, heart sac, lung sac or abdomen itself. A frequent intermediary step is asbestosis, which is a lung disease that significantly predicts development of mesothelioma. This chronic lung disease is marked by scarring of the lungs and surrounding tissues, and usually doesn’t appear till many years (often decades) after initial exposure. While we most commonly associate lung disease with smoking, it is important to remember that mesothelioma is only sometimes a disease of the lungs … other times it is a disease of the heart or stomach or abdomen, so not smoking doesn’t necessarily mean you are protected from it. That said, it’s very important not to smoke if you have had any exposure to asbestos, because the combination of asbestos exposure and cigarettes can increase the risk of mesothelioma up to 90 percent. Beyond not smoking, what can you do to prevent your mesothelioma from worsening, causing pain or resulting in death for as long as possible? Below, we’ll discuss some of the best natural treatments. Before we go on, it’s important to note once again that none of these suggestions should be considered replacements for therapies suggested by your doctor. Without mainstream medicinal approaches such as radiation and chemotherapy, you may not live even as long as your prognosis, so never ignore such treatments and assume you will just take a “natural route” instead. Mesothelioma is an aggressive disease that is hard to recognize, which means that by the time it has been diagnosed, it is typically quite advanced. Only by combining these alternative treatments with the treatments recommended by your doctor can you have the best possible chance of surviving for as long as possible. While researchers have been trying unsuccessfully for decades to use oxygen in the fight against cancer, their results have so far not been very promising. Unfortunately, tumors usually grow quickly in response to high levels of oxygenated blood, so some therapies that have been touted for years may actually be doing more harm than good. Consider, for instance, ozone therapy, in which a patient’s blood is removed, pumped full of rich ozone (O3 as opposed to the normal O2 molecule), and circulated back into the patient. 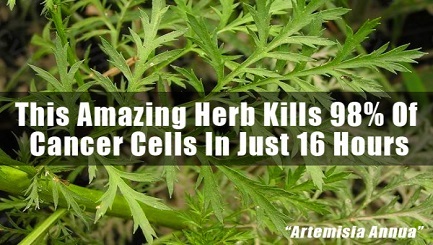 While this certainly does give normal cells a boost, if it also gives the cancer a boost. That said, it is possible that new oxygen treatments are coming to light. The secret? There must be cancer killer cells present, reports ABC news. What does this mean, exactly? Let’s back up. Your body actually contains a natural way to fight cancer cells, and that’s through natural killer cells, a type of white blood cell. These cancer-fighting superheroes travel throughout your system, seeking and destroying most tumors before they can even cause any trouble … long before you would notice any symptoms. Unfortunately, when these cells come into the presence of a developed tumor, they get “put to sleep” by a substance the tumor emits called adenosine. Therefore they never get the chance to do their dirty work against the tumor. The answer? You’ve got to wake up the immune system to ensure that there are lots of killer cells present, then stimulate the immune system further with high doses of oxygen. 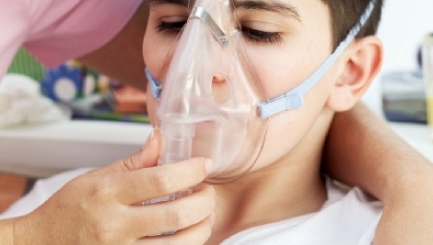 It’s crucial to understand that old-school recommendations of oxygen and ozone therapy on their own probably won’t work. However, in conjunction with activating the body’s immune system – called immunotherapy – it might be quite effective. While this has not yet been tested on human patients, promising results have been shown on mice. So what, exactly, is immunotherapy? Let’s talk about that next. 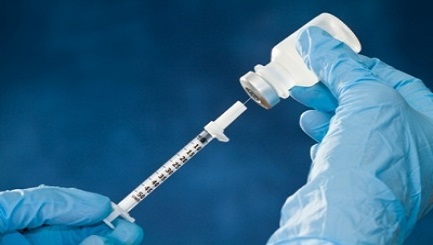 Also referred to as biologic therapy or biotherapy, immunotherapy involves getting your body to fight cancer more effectively. This may involve stimulating your immune system to do what it is already doing, only to a greater degree. Or it may involve giving your body simulated immune system substances, such as man-made proteins that simulate the ones the body uses to fight disease. First, a basic overview of the immune system. This is your body’s first line of defense against pathogens, toxins, carcinogens and other substances or foreign bodies that, without the immune system, would immediately cause disease or kill us. Special components of the immune system detect such foreign bodies, signaling the rest of the system that something is wrong. The system then springs into action and destroys the foreign substance, bringing our bodies back into balance. This happens without us even knowing it; we just see the symptoms of the immune response (think the runny nose and cough you get when you have a cold). In order to help your immune system fight cancer cells, which is much harder than fighting a cold, we have to give it a little help. Part of the problem is that cancer cells are not technically “foreign” … they’re just your body’s own cells, growing out of control. Thus your immune system may not always recognize cancer cells as a problem, and can allow them to go unchecked for far too long. Other problems include the immune system not being strong enough to take on cancer cells, even when they do attack, or, as stated above, cancer cells may emit substances like adenosine that render killer cells docile. There are other types of immunotherapy as well, which can help enhance the immune system and make it better able to defend itself. Often, immunotherapy works well in conjunction with other treatments, as with the above potential case of oxygen therapy. This is becoming a more and more common alternative treatment, so ask your physician or healthcare provider about the possibility of you using it. Even if they don’t prescribe it, you may be able to find treatment elsewhere. Although it may sound like science fiction, gene therapy is very much in the realm of science these days, and involves using genes to fight disease. Genes are functional units of our DNA, forming parts of chromosomes by specific sequences of nucleotides, the building blocks of our DNA. These are passed on from our parents, and determine specific qualities of our bodies, such as height, coloring and whether or not we are prone to specific diseases or able to fight them. Research has progressed to the point where it is now possible to use genes to help fight cancer. However, this research is not yet so advanced that it forms a regular part of treatment, so in order to receive gene therapy you will have to participate in clinical trials. 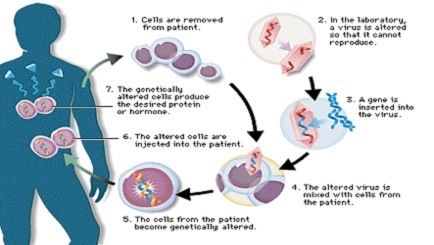 Currently there are a few forms of treatment that use gene therapy, but let’s start with the main point of this type of treatment, which is to transfer to your body a genetic defense mechanism against cancer that you do not naturally have. For instance, a therapeutic treatment might involve removing cells from your body and having it interact with a virus or another carrier of the desired genetic code. This interaction can result in the gene becoming embedded in the code of the cells that were removed from your body. When they get put back in, they can then carry this new, cancer-fighting information to other parts of your body, helping you combat the problem. In addition to viruses, stem cells and liposomes (fatty particles) may also be able to transmit the new genetic information to the rest of your body. In the future, this treatment will no doubt become more advanced. In addition to just adding genes that help you combat cancer, doctors may one day be able to treat patients by simply removing genes that are contributing to the problem, or replacing “bad” genes with “good” ones. Right now, gene therapy is only being tested on patients who have diseases without a known cure. If you would like to volunteer yourself for treatment, talk to you physician to see what types of clinical trials are available for your type of cancer. Zeolite is purported to stop many of the side effects of cancer, such as diarrhea, and may also help the body fight cancer. These natural materials, harvested from volcanic rocks and ashes, were also shown by the study not to be harmful to the animals on which they were used. Other studies indicate that use of zeolites may increase levels of cancer-fighting proteins in the body, which may comprise an additional immunotherapy strategy. 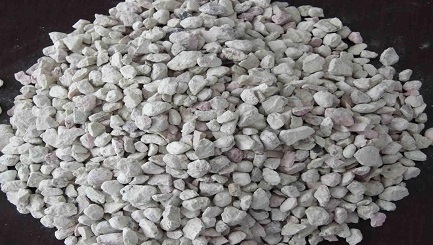 It is important to note that zeolites are minerals containing high degrees of aluminum and silicon compounds. They’re often used as drying agents in detergents, and are also put to use in air and water purifiers. Such facts demonstrate that while zeolites may help you in fighting cancer, they can also be harmful to the body. Indeed, erionite (a type of zeolite that grows in fibrous form) can even be harmful when inhaled, actually causing lung cancer of a similar nature to that which asbestos causes. It’s important that you research zeolites thoroughly before adding them to your cancer regimen to ensure that you don’t inadvertently do more harm than good. For transplant patients, they are also not a good idea, because they may heighten the chances of the body rejection the organ. They may also inhibit chemotherapy and other treatment types. Before using this substance, talk to your physician about whether or not it might be right for you. Although it is counterintuitive, antioxidants – touted in media as the answer to a long, healthy life – may not always be the answer when it comes to cancer. Thus, this section might be a little confusing, the reason being that only some antioxidants are really good for you, while counterintuitively, pro-oxidants may in some cases be the best route to take. 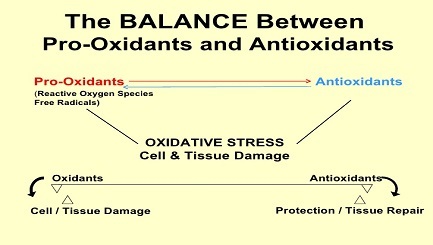 Let’s start by discussing what, exactly, antioxidants and pro-oxidants are. Although it sounds magical, all an antioxidant really does is inhibit oxidation, which means that one atom “steals” an electron from another atom. The atom that loses the electrons is oxidized, which is a stressful event for the body, and can throw cells out of balance and cause us to age. In the case of a normal, healthy body, antioxidants help prevent this process. Pro-oxidants, on the other hand, help promote oxidation, or the “stealing” of electrons. What does this mean for cancer? Well, researchers are divided. Some studies have shown that supplementing the diet with antioxidants doesn’t harm cancer patients and doesn’t compromise other forms of treatment. In fact, chemotherapy patients in some studies actually did better when they took antioxidants in addition to their other treatments. However, other studies have shown that antioxidants in some cases may actually cause cancer to grow more rapidly, which is obviously the opposite of what you want to encourage. In some cases, antioxidants may even promote metastasis, in which the cancer spreads from the initial site (say, the lining of the lungs) to other parts of the body, such as the bones, blood or other organs. This being the case, patients who already have tumors may benefit from being treated with pro-oxidants. Unfortunately, there really isn’t enough research at present to determine whether anti-oxidants are really a good idea in supplement form. This indicates that it may be better to get your antioxidants as naturally as possible, from real food sources. These include berries, apples, green tea, artichokes, red beans and Russet potatos. Consuming antioxidants in this form preserves the synergistic effects and also offers nutritional value, and so is much more likely to be helpful to you in your treatment than simply taking supplements that might compromise it. If you are interested in pro-oxidants, you should talk to your doctor, as there don’t seem to be many natural sources of it. There are, however, synthetic pro-oxidant drugs that may help reduce tumor growth. Spirulina is another common alternative treatment for mesothelioma specifically, and cancer in general. Although it has not been proven to work by the FDA or other regulatory authorities, enough anecdotal evidence exists to show its effectiveness that you may want to give it a try. Plus, it has been proven not to cause any harm, so even if it might not work, this body-boosting nutrient won’t do any damage. Spirulina may be able to help enhance natural killer cells, which would make it a form of immunotherapy, and can be used to augment almost any diet. 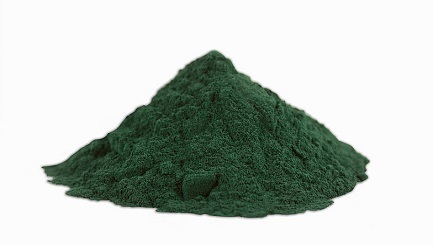 Traditionally, Spirulina has been harvested from lakes in Africa and Mexico, then dried and used as a food. It’s possible that it has been used as a nutritional dietary supplement as far back as the Aztec civilization and has also been used on long space-flight missions, and people today still purport to love its immune-boosting effects. It is easily digestible, so perfect even for people who suffer from upset stomachs and difficult digestion – common in cancer patients. Today it is grown commercially in many places in the world (including the U.S., Mexico and parts of Africa and Asia), and is widely available at health-food stores. Additionally, Spirulina may provide protection against the side effects of chemotherapy. This treatment, while widely recommended by doctors to fight cancer, often results in unpleasant side effects, including vomiting, diarrhea or constipation, fatigue, pain, mouth sores, blood disorders and nervous system issues. Taking Spirulina may help lesson or abate some of these issues, which makes it a marvelous complementary remedy for those undergoing chemotherapy. Spirulina may also help treat depression and anxiety, which often accompany cancer diagnoses, and can also help combat fatigue, which is common even if you aren’t undergoing chemotherapy. Plus, it can improve digestion and bowel health, both of which often become difficult when you have cancer, so may be a great remedy no matter what stage of cancer, even stage 4 Mesothelioma cancer, you’re in and what other treatments you are undergoing. As a note of caution, you should always make sure your Spirulina is from a reputable source. Some products containing blue-green algae have been contaminated with toxins and aren’t safe, especially when your body is already compromised by cancer. If you’re unsure, buy Spirulina from a domestic source. Your opinions on cannabis may be positive or negative, but it is simply a fact that our body has a system that processes cannabis, among many others. It is called the endocannabinoid system, and it is composed of a group of receptors in the brain and throughout the nervous system. Not only does this have bearing on appetite, pain, mood and memory, it also affects the immune system in ways that are not yet completely understood. It is possible that using marijuana or forms of it may help your body stabilize the immune system and therefore fight cancer, but conclusive evidence for that is currently lacking. What is not lacking, however, is a raft of anecdotal and clinical research proving that cannabis can help substantially modulate pain. If you are experiencing pain as a result of mesothelioma, you might consider cannabis, which you can obtain in forms other than those you have to smoke (for instance, oils). If it is not legal in your area, talk to your physician. Again, none of the above remedies should be seen as replacements for recommendations from your medical team. However, if you would like to extend your life and live longer, it is a good idea to explore other possible options that can help you treat mesothelioma. We hope this guide has been helpful, and will contribute to your living a longer, more pain-free life. If there is anything else we can do to help, or if you have remaining questions about mesothelioma, asbestos or treatment options, please don’t hesitate to get in touch and we will strive to provide as much information as we can. If you have been affected by mesothelioma or any other asbestos-related disease, contact Mesothelioma Treatment Centers today to speak with an asbestos attorney in your area to learn about your legal rights and treatment options.